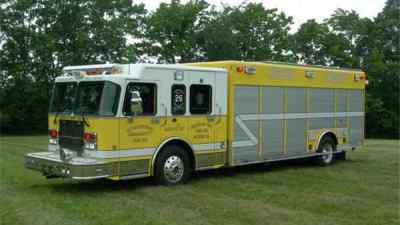 Northern York County Regional police are leading an active investigation regarding a stolen rescue truck from the Strinestown Community Fire Company. According to a Sunday morning Facebook post by the fire company, other equipment also was also stolen. No arrests have been made at this point and it’s unclear when exactly the unit was taken. “If anyone saw this unit being operated in a reckless or erratic manner, we apologize but at that time we unaware that it had been stolen,” the Facebook post added. The apparatus is currently out of service for damage assessment. A REASON TO NOT SET-UP YOUR AERIAL IN THE GRASS!